Family businesses face many challenges as they strive to survive and thrive. Among the most difficult to overcome is one that is unique to a closely held business: divorce. A divorce can be financially and emotionally devastating to a family business. We have all overheard a business owner referring to his or her company as being “like a child.” The custody battle for the business can be expensive, contentious and, without proper planning in advance, potentially fatal. This is particularly true if a company has been jointly owned and its growth has been a labor of love for both spouses. Even when one spouse is a non-owner who does not work actively in the business, the company is frequently a couple’s largest asset; thus its value becomes a point of contention in divorce proceedings. For a family business to survive a divorce, the possibility of divorce must be anticipated and planned for well in advance. While nobody wants to imagine a time when a marriage is dissolved, it is inexcusable to ignore the possibility. The incorporation documents of every closely held business should include an agreement about ownership rights and stakeholder value in the event of an owner’s divorce. Succession planning documents should also include provisions for the dissolution of the marriage of one or more of the next generation of owners. Disposition of the business can be addressed in a premarital or post-marital agreement, carefully structured and negotiated to provide certainty in the event of a divorce. Every possible permutation of what might occur should be considered and addressed, such as spouses who are joint owners, a non-owning spouse who acquires a share in the business as marital property, and stakeholders who are not party to the divorce but whose ownership is affected, among others. A variety of options exist to resolve the issues of ownership and control of a closely held business upon the divorce of one or more owners. It is generally in the best interests of both parties to the divorce if a business remains a viable operation, although this is not always possible. One solution to settle control of a business in a divorce is for one spouse to buy the other spouse’s ownership interest, or for the spouse who is an owner to compensate the non-owning spouse for the value of the owner spouse’s interest in the business. A typical hurdle is finding a valuation method and pinpointing a number on which both parties can agree. The services of an independent certified value analyst (CVA) may be required. 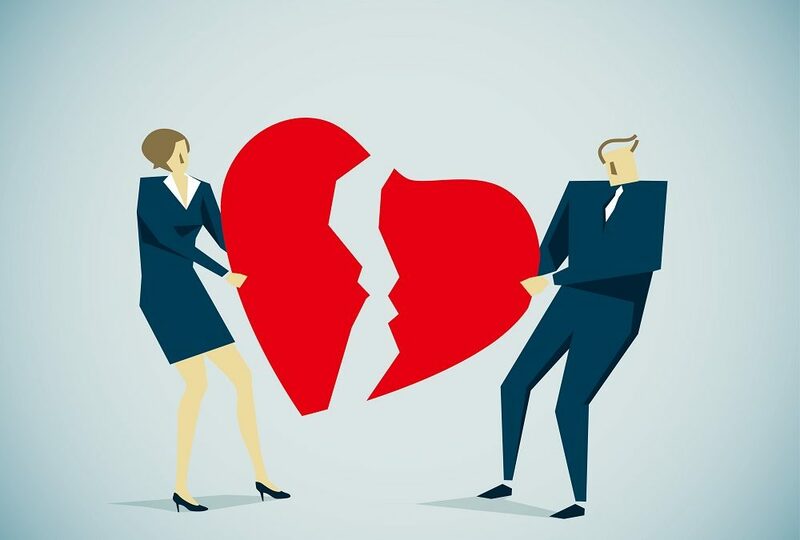 If a non-owner spouse receives ownership shares in the business as part of a divorce settlement, it may be in his or her best interest to “cash in” by transferring the shares back to the company in return for cash. This may put a financial strain on the business (and the owning spouse), but can also create a clean break that leaves control of the business with the active spouse. If the divorcing couple does not have a binding agreement in place and cannot come to terms on how to divide their interest in the business, it may come down to selling the business to a third party. The downside is that the income stream from the business is eliminated, and the forced sale of a distressed business may lower the sale price. In some cases a business may be in a financial position that precludes buying back shares, the company may not fetch an acceptable price if sold, or both spouses may simply wish to see the business continue, and therefore come to an agreement to remain co-owners. Some even keep their business partnerships in place for the sake of any children who may be employed in the family business. If both divorcing spouses desire to continue in the business, one option is to split the business into two separate companies, each owned by one of the divorcing spouses. This works well when a business has multiple divisions or business units that can be run separately, or when a company’s real estate assets can be split off from the operating business. All of the possible resolutions cited above carry important – often overriding – tax implications. Decisions about how shares are transferred, redeemed, purchased or otherwise shifted from one spouse to another should always be made with the goal of minimizing the tax burden for all parties. According to federal statistics, the divorce rate in the U.S. is 50 percent, so it is almost inevitable that divorce will affect closely held business owners. Accepting this possibility and creating a well considered plan ahead of time can help reduce uncertainty at a time of great stress and disharmony. 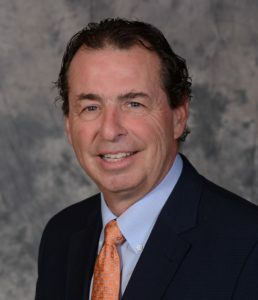 Edward D. Tarlow is a founder and shareholder at Tarlow Breed Hart & Rodgers, a Boston law firm that specializes in family businesses, and a founder and president of the Family Business Association of Massachusetts. He can be reached at (617) 218-2011, or via email at etarlow@tbhr-law.com. Have you been thinking about a business continuity plan? Many business owners are aware of the need for such planning. Some are even concerned about the issues and problems that a lack of planning brings. These issues include loss of key management, interruption of income, concerns over family control and equity, and retirement income planning. But the day-to-day challenges of managing a family business can often complicate or even prevent the development of a continuity plan. Business owners are busy running their business! When not at work, they like to pursue hobbies or spend time with their family. Who would buy the business? How do we finance the transaction? Existing advisors may not be familiar with potential options; you don’t know what they don’t know. Advisors may also have a focus on product rather than strategy, which may create a bias in your plan. Other challenges include a feeling that the family business doesn’t need a continuity plan, can’t afford the planning process, or that there is no one to help establish it. If some of these challenges sound familiar and you are concerned about the survival or transition of your business due to disability, death or retirement, take heart. Solutions are available. They are not necessarily too complex, and they may help you meet multiple planning objectives. The best place to start is with your existing advisors – your attorney, CPA or financial planner. Describe your concerns to them and ask for ideas and feedback – ask a lot of questions. Don’t stop asking until you feel satisfied that you are on the right track. If they refer you to someone, be sure to interview them before committing to work with them. You need to be sure there is philosophical and business alignment between you and the advisor. You need to be comfortable with how the advisor will be compensated. Many advisors are purely product-driven, which may create a bias in your plan or may leave important areas that directly impact your plan uncovered. It is important that you have a team, and a “quarterback” for the team, to serve your purposes. 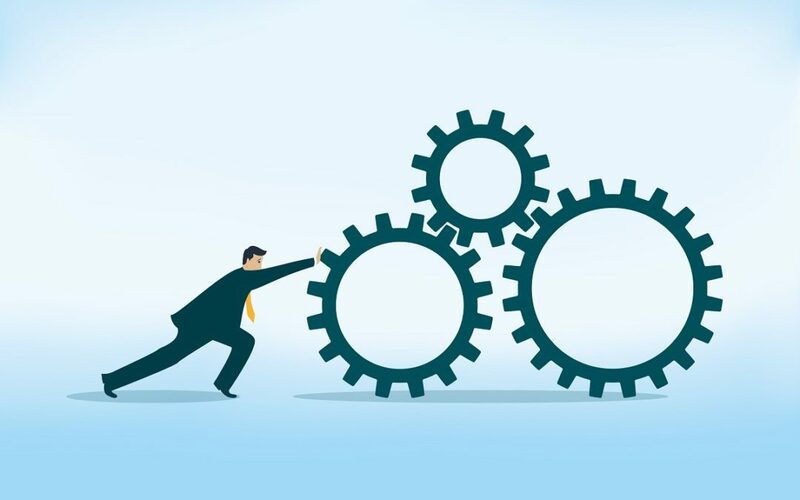 Business continuity planning is important by itself, but it needs to be coordinated with many other aspects of your plan such as estate, portfolio management, retirement income and life and disability insurance. Not all of your advisors are expert at all of these areas, so they need to work together to get you the best ideas and outcome. Some advisors may not be in favor of a particular strategy, but you need to hear all of the ideas and decide for yourself how one or another will ultimately affect you and your family. These are decisions that will affect you and your family for years to come. They may also affect the level of retirement income that you have to enjoy. Will you hold a note from your buyer? How capable is the successor management? Will your buyer control the real estate that houses your business? With the help of a qualified team, you will be able to develop a plan that provides a smooth, predictable transition in the event of retirement, disability or death. It will provide liquidity and equity among family members as well. It will give you the confidence that more than one of your long-term concerns has been addressed and allow you to focus on your business and family. 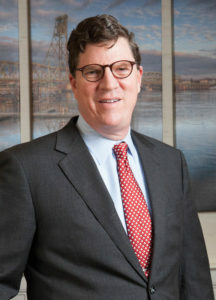 Joseph H. Guyton is principal of The Guyton Group, a Portsmouth, New Hampshire-based family-owned business that provides wealth and legacy services to businesses of all sizes. He may be reached at (603) 766-9200, info@guytongroup.net, or www.guytongroup.net. This article first appeared in the Fall 2017 issue of Massachusetts Family Business magazine. Today, we proudly stand as a leading, independent chain of convenience stores and gasoline stations, with locations throughout Eastern Massachusetts and New Hampshire, but the humble beginnings of our family-owned business were anything but lofty! What was to become VERC Enterprises began in 1975 when our father, Eugene Vercollone and my brother Paul opened a single car wash in Marshfield. Five years, a couple of gas stations and a car wash later, VERC Enterprises branched out to include a car rental business. We were going in a lot of different directions, but the bottom line was that my father started the family business to offer his children jobs. I should point out that my dad was “old school” when it came to his three daughters. ; he believed “the business was for the boys” and when Dad passed, we learned that our sisters were upset they weren’t involved in decisions made about the family business. We worked to bridge that gap over the ensuing years, and I am grateful those fences were mended before the loss of one of my sisters. It’s a lesson learned; I have four children – three daughters and a son – and while I have the utmost respect for my father and all he instilled in us, I would have handled the division of authority between my brothers and sisters differently. Today, VERC Enterprises is proud to have more than 350 employees and to be recognized as a leader in hiring people with intellectual and developmental disabilities. In fact, over 20 percent of our workforce consists of capable and appreciative individuals who are developmentally challenged/disabled. We work closely with numerous state agencies to recruit IDD persons and have been honored by such organizations as Best Buddies and The Arc. We were recently named “Employer of the Year” by the Massachusetts Commission for the Blind and The Arc of Greater Plymouth. We believe that work provides dignity and meaning to life, and our mission has always been to help others. We believe that businesses should be leaders in the communities. It is a calling we take seriously. While our convenience store/gasoline/car wash model has proven to be a successful one, we recognize the need to branch out. Over the past year we purchased the former Mayflower Food & Spirits in Plymouth, a 40-year-old business that has been the go-to location in the area for prepared meals, deli items, homemade pastries and more. We’ve changed the name to Mayflower Provisions to better reflect all the store offers … and naturally, added a gasoline outlet! We have had a strong presence in Plymouth as well as the surrounding South Shore communities, and we’re delighted to add Provisions to our VERC family. This business has been a mainstay of Plymouth for many years and has proven to be such a successful purchase that we may modify some of our other locations to add some of the services that Mayflower Provisions offers. Looking to the future and the next generation, I believe it’s important for our children and grandchildren to earn their own way in the family business. In fact, I favor a board of advisors comprised of non-family members because they may be able to see issues that I may not because I’m too close. Growing a family business internally sometimes means leaving family members out of key roles. It also means having a willingness to select the best-qualified individuals to run the company. The bottom line is we don’t yet know whether a member of the next generation of the Vercollone family will eventually run the company. We’ll know in a few years, but until then we intend to keep doing what we do best – treating our associates like family, providing solid service to customers, contributing to the community and offering employment to individuals who have physical or mental disabilities. On this last point, we have made it a mission to support and encourage people with IDD because employment not only supplies a paycheck, but also provides that important sense of “place in the world” for everyone, including to members of a population whose potential is too often overlooked. Leo Vercollone is president of VERC Enterprises. This article first appeared in the Summer 2017 issue of Massachusetts Family Business magazine. Very few people can say that their clothing fits them perfectly. For most people, “good enough” is the benchmark, and unless the garment binds like a rubber band or drapes like a car cover, they simply shrug and accept that as standard. Generally we can get by with jacket sleeves that hang a little long or a pair of pants with a hem that rides a little low. It’s only when people realize they need to look their absolute best that they suddenly remember the existence of a whole group of highly skilled craftspeople. Tailoring is an industry that has existed since the middle ages, when high society conceived that the things people covered themselves with should do more to complement the human form. Ever since then, tailors have been working so that men and women can more easily make an impression; they help people get jobs, close deals and walk more confidently. Their work is essential to some of our most important occasions. Tailor shops are almost universally small businesses, and many are family-run. The singular importance of referrals allows them to exist for generations without so much as spending the equivalent of a piece of Hancock’s chalk on advertising, while other businesses on the same block can fail despite the best laid promotional schemes of computer mice and admen. Tailoring requires a keen eye and a high level of dexterity. This, coupled with a latent emphasis on customer service, allow the profession to transcend national and cultural borders in a way very few vocations can. This article features just a few of them, three shops in Boston owned by families whose backgrounds vary immensely, but are united by an entrepreneurial spirit and the uncommon knowledge of a highly technical skill. Beyond that, however, they share the fact that the seed of their entrepreneurship found purchase in another country, and the transplanted roots have taken hold here. Despite their variegated origins, these people have a common thread. Binh Tran is a young, second-generation tailor. She and her mother opened the doors to All Fit Tailoring in 2010, but they were adept at working with clothing long before then thanks to Binh’s mother, The Tran, who began sewing at the age of 12. Binh was born in Vung Tau, Vietnam, and spent her childhood there until the family emigrated to the Boston area in 1992. Then in fourth grade, she accompanied her mother on her job searches; at the time Binh was the only one in the family who spoke English. She helped her mother secure a job in a Boston garment factory as a patternmaker, where she made templates for pieces of fabric, which would then be assembled into clothing. Patternmaking is among the most technical tasks of the fashion industry, and the knowledge of garment construction would allow her, and later her daughter, to approach tailoring from a perspective few have. Armed with first-hand knowledge of the way clothing is constructed, Binh and her mother opened All Fit Tailoring seven years ago. They sold the patternmaking machines and invested in alteration equipment. They decided to focus on bridal gowns because they saw a void in Boston’s market; there were places that sold gowns, but hardly any that had an on-site tailor. Their first location was a small storefront on Newberry Street, but they quickly outgrew it. Binh began to search for a more suitable space, and her standards were exacting. She wanted a space large enough to accommodate very long trains on dresses. She needed abundant natural lighting so brides planning outdoor weddings would be able to see how they’d look come the big day. Finally, if such a place could not be found on ground level, then they needed an elevator. “There are often elderly people who want to be there for their granddaughter’s first fitting, and I didn’t want stairs to prevent the bride’s grandmother from being here with her,” she said. After two years the Trans found such a spot. 138 Newbury St. checked all the right boxes, and as soon as they signed the papers they began a three-month conversion process. With help from Binh’s husband and his contractor friends they turned the shop into a clean, pearlescent space. Binh took great care to coordinate the look and function of her shop. For example, instead of practical but unprepossessing metal bars to hold the considerable weight of a dozen or so wedding gowns, she had her husband reinforce the ivory crown molding of the ceiling. With the help of a hooked pole she can raise a gown up among the soft, recessed lighting and place it onto the specially-built lip of the molding. It joins the other gowns hanging there, festooning the ceiling like opulent trim. There are dozens of dresses between the front and back halves of her business – what brings all these brides through her doors? Bill Kopellas was born in Boston and has fond memories of growing up in his father’s tailor shop (the eponymous Frank). 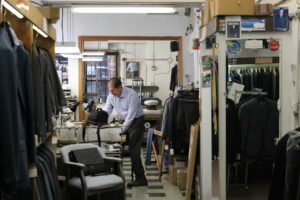 They’ve been at 58 Winter St. for over 40 years, but Frank has been a tailor for much longer. Born on the Greek island of Peloponnesus, Frank became a tailor’s apprentice at the age of 13. Like many others before him, Frank saw opportunity in America. He emigrated and opened up a shop on Winter Street, on the second floor of an old building with an unprepossessing sign hanging in the corner window. With a good location, as well as the fact that he’s a master tailor, Frank had little difficulty building his clientele in a new city and a new country. His wife worked by his side as a seamstress, and eventually his son and daughter joined him. Today, Bill and his sister work with their father alongside two other full-time tailors. What sets Frank’s shop apart from other tailors is that they also sell suits. This was a lot more common years ago, but tailors today typically focus on altering outside garments. Outside garments are of course welcome, but the benefit of selecting a suit from Frank’s, Bill said, is the education that comes with it. One of the biggest challenges facing the industry is a lack of understanding from customers about how much work is involved in skilled alterations, Bill said. Bad information and a fundamental misunderstanding about the way a piece of clothing should fit, combined with the skewing of price perception thanks to the rise of fast fashion in the past decade, makes life harder for people like Bill and his father. Still, Bill believes that 90 percent of people understand the time and effort it takes on his part: “it could be a thousand-dollar suit or a hundred-dollar suit; for me it’s the same work,” he said. As for the other 10 percent, he refers back to his willingness to educate; he can show them the difference between quality tailoring and shoddy tailoring, and why Bill and Frank’s approach will always have a place for as long as clothes need to fit. 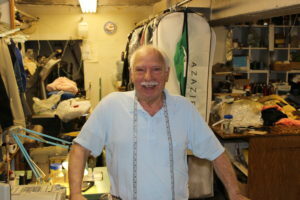 Like Frank Kopellas, Emilio Mauro of Mauro’s in South Boston is also a master tailor. These days the title is not so much a formal accreditation – the process of reaching that level of professional accomplishment and recognition has become less formalized over the years, particularly in America – but when masters like Emilio and Frank were in their salad days it required years of apprenticing and fastidious testing. 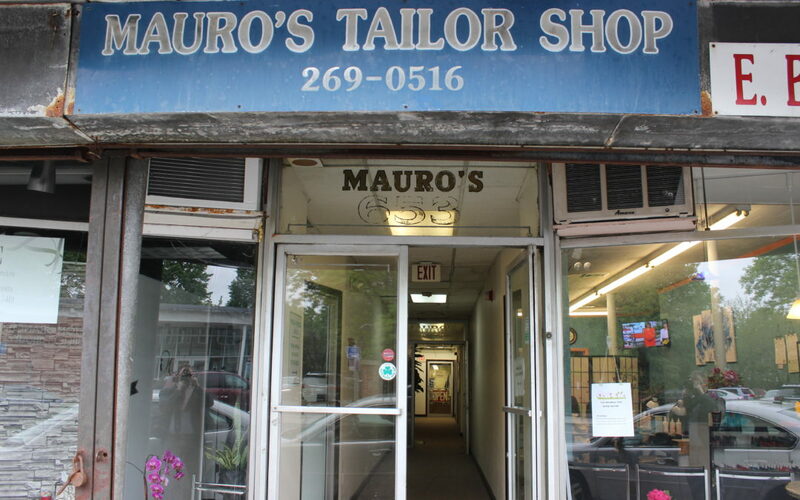 Emilio isn’t the only Mauro who can call himself “maestro;” his younger brother is a master tailor, who occasionally works with Emilio in his shop. His late brother Luigi was also a master tailor, as was their father, who followed in the footsteps of his father, who took after his father. The Mauros have four generations of tailoring expertise, all of which was honed just outside of Naples. The latest generation, Emilio and his brothers, emigrated to the U.S. in the 1950s. Tailor shops and Tokyo high-rises are some of the best places to observe impressive economy of space, and Emilio’s shop is no exception. Tucked at the end of a long corridor in an old commercial building in South Boston, what the shop lacks in square footage it makes up for with the proprietor’s personality. He’s so focused on the garment he’s working on that he doesn’t notice someone entering his shop. A visitor stood for a moment, afraid to startle anyone whose hands are near a needle moving so fast you can’t see it. After a minute or so Emilio looked up, beamed, and asked how he can help. He speaks with a very heavy Neapolitan accent. In the middle of a question about what makes his profession unique, he interrupts in the most genteel way possible and says, “My father used to say, ‘How great was it to be a tailor? You could meet the most important people in the world – everybody needs a tailor.’” Well into his seventies, it’s clear his father’s rhetorical question still resonates. Along with his trusty thimble and a soft tape measure draped around his neck, his shop contains a few other tools of the trade: a garment press, several sewing machines from the 1950s, one of which has a marked patina by the dial thanks to years of dutiful service, and, of all things, his smartphone. Emilio is adept with technology. As he speaks about how essential good communication is, he draws out his phone every time he thinks an example would help punctuate his point. With a few quick taps, he’s found the website, the picture or the email he’s referring to. The man insists he’s old – too old to be featured in this article, as he’s afraid it will drum up his business when he’s winding down to retire – but his quick mind and deft fingers betray that idea. When asked if things like Yelp and Google reviews can be traced to a sizable chunk of his business, it is, like the other tailors featured here, not a seismic effect. The recognition heaped upon him online certainly doesn’t hurt, but his industry has worshipped at the altar of customer service for so long that to attribute his esteem to the internet is irreverent. Like everyone featured here, Emilio came to America to build his future. He loves his home country deeply, as expected – he served faithfully in the Italian army as a young man – but he also loves his adopted country for its ability to allow someone like him to practice their trade, raise a family, and give his progeny opportunities unfathomable to his younger self. Emilio may well be the last master tailor with the surname “Mauro,” but he’s not in the least bit saddened by it; in fact, he’s elated to have laid the pattern for his family’s success in a country that welcomed him, all while using the talents that were developed over generations in an ancestral home. Mike Flaim is an associate editor with The Warren Group, publisher of Massachusetts Family Business. He may be reached at mflaim@thewarrengroup.com. As difficult as the death of a loved one can be, the practicalities of bidding goodbye used to be considerably more challenging than they are today. Before the invention of the automobile, funerals were held in the deceased’s home. Families, friends and neighbors came together quickly to pay their respects, purchase a casket and bury the deceased (sometimes on their own property if a cemetery was too distant). If an undertaker lived nearby, a family could hire them to retrieve the deceased, embalm them, return them to the home for a wake, and then perform the burial. Once cars became ubiquitous, though, funeral services were gradually removed from the home. In the 20th century, the “undertaker” – the dour cabinetmaker-turned-coffin-maker driving a hearse as black as his buckram suit – became the funeral director. 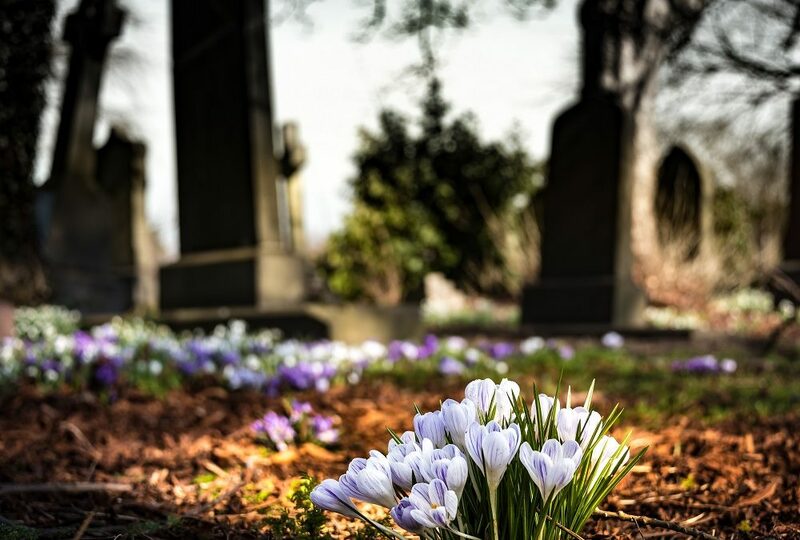 Our relationship with death changed and continues to evolve thanks to modern-day funeral directors like Reid McHoul, Jim Delaney, Tim Keefe and the businesses started by their grandfathers. All three are now the third generation in their family’s businesses, whose respective legacies were built by intimately understanding the needs and desires of families coping with the death of a loved one. Despite the sign, the Sperry & McHoul Funeral Home is owned solely by the McHouls (Sperry was the original owner, and had the building constructed in 1921). Reid McHoul, whose father purchased the home from the Sperry estate in 1975, believes that it may be the oldest building in the country built specifically as a funeral home and not, as most are, converted from what was originally a private home. Most funeral homes are Victorians, old houses with a multitude of rooms and sweeping, spacious parlors. Reid’s location in North Attleboro has all of those, but it doesn’t have an extensive upper floor like a house would. The main entryway leads to a small chapel were services are held. The curved ceiling features a wan blue sky and cornsilk clouds populated with putti. An organ loft is situated behind and above the entryway. What used to be the embalming room is located toward the back of the building, with a decidedly less decorative but more practical pine floor in the event of spilled embalming chemicals. Guarded by burgundy carver chairs and a sliding door is the entranceway to an elevator – operated by pulling on ropes to move the counterweight of stacked bricks – built for the purpose of moving caskets from the basement to the viewing area. McHoul’s grandfather was the first of the family to join the business. He had three sons, all of whom became funeral directors, and two of those three married funeral directors. 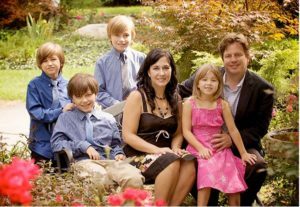 Three of Reid’s cousins are also funeral directors, and two of their kids have followed in their parents’ footsteps. Given the extensive family connection and how common it is for the next generation to continue in the business in this profession, McHoul’s path wasn’t as narrow as one might expect. McHoul was free to pursue whatever interested him without any hint of pressure from his family, but his persona is such that to do anything else seems like a misstep. He realized this for himself as he was weighing a choice between becoming a funeral director’s apprentice or interning at the Federal Reserve during college. Today, he refers to his chosen path not as a career, but as a vocation. “It’s not fun, necessarily, but it is rewarding,” he said. His role is to try, as best he can, to lead the decedent’s friends and family to a positive place. He spoke of a service he had last month; a very young woman had passed away after a battle with cancer. This devotion to the deceased and their family finds no greater champion than James Delaney of James H. Delaney & Son Funeral Home in Walpole. Delaney is only 32 years old, but already has more than two decades of experience. Thanks to the influence of his grandfather and his father, he knew earlier that he wanted to join the family profession. “Watching the two of them work together and do what they did to provide a wonderful service to the community, it intrigued me,” he said. Recognizing his calling, he studied psychology in college not with the goal of entering into private practice or working in a counseling facility, but to augment his ability to guide a family through grief and ease their burden of loss. But as comfortable as he was with his decision, Delaney said that being a funeral director demands malleability: “Even if you have the perfect cutout for this profession, it’s still a growing process.” Each family is unique, and the service provided by Delaney and his father, Jay, requires a personalized approach each time. In one instance, a woman had passed and the family revealed that their daughter was a Disney fanatic. With the help of his colleagues at Life Celebration, Delaney brainstormed a Disney-themed service. This entailed decorating his funeral home with Disney memorabilia; every available mantle and table space was occupied by framed photos of family vacations to Disneyland, heartfelt quotes, plush Mickey Mouse toys and princess wands. He even had Disneyland themed “tickets” that were handed to the family and their guests. Whether it’s taking care of paperwork or taking the reins on planning a service that a family will cherish, there is no rubric for a director to follow, nor is there a schedule. He is always on-call. Tim Keefe of Keefe Funeral Homes echoes the “always on call” sentiment. Like the Delaneys, the Keefes rarely use an answering service. Keefe said it’s important that the person calling for his family’s expertise speaks to his family. “We take a lot of pride in the fact then when a family calls the Keefe funeral home, they’re going to get a Keefe,” he said. The odds of speaking to a Keefe are good; the family runs two funeral homes – one in Cambridge and one in Arlington – and there are a lot of Keefes to staff them. 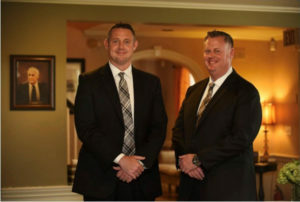 Keefe works alongside his older brother Chad, who is also a full-time funeral director. Tim’s twin brother Jeff is a full-time firefighter for the city of Cambridge and also devotes nearly 50 hours a week to the family business. Uncles Jack and Dan work there too, and their father Charlie, despite being retired, checks in every day. Keefe’s sister Christy – a registered social worker – is involved as well; she offers grief and counseling classes for grieving families. They also have non-family staff, and Tim and his siblings have young families of their own. Despite such responsibility, there’s no sign that their family business puts a negative stress on their own family dynamics. In a sentiment echoed by McHoul and Delaney, Keefe mentions that he didn’t experience pressure to continue in his father’s and grandfather’s footsteps. The father of daughters, he would be pleased if they entered the business (but no pressure). “People keep saying, ‘You know, you’re going to have to have that boy to carry the name,’ but the females in this industry are just as good – if not better – than the males,” he said. Though the profession will change, as will the people in it, more than likely another generation of Keefes, McHouls and Delaneys will be there, guiding families through grief and stewarding them through the passing of their loved ones. Mike Flaim is associate editor at The Warren Group, publisher of Massachusetts Family Business magazine. He may be reached at mflaim@thewarrengroup.com. This article first appeared in the Spring 2017 issue of Massachusetts Family Business magazine. 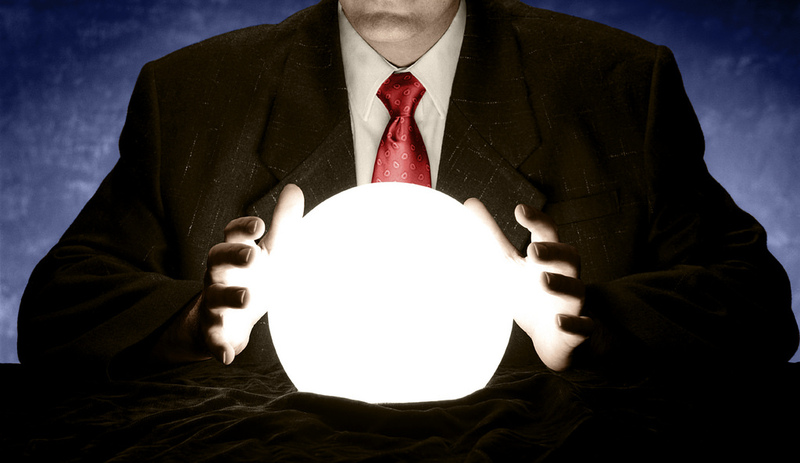 Click here to read predictions from business leaders in the state for the year ahead. Following the most unorthodox election in American history, for business owners throughout the nation and especially in Massachusetts, the stars seem to have aligned coming into 2017. With a new president branded as overtly business friendly and more importantly a booming local economy, those on the front lines supporting small and family-owned businesses agree that morale is high among executives. President Donald Trump is the harbinger of changes both cultural, raising business to a level of reverence not seen since Reagan, and practical, promising sweeping tax and regulation reforms. Specifically, Trump aims to reduce the business tax rate from 35 to 15 percent, and has already signed an executive order reducing federal funding for regulations to $0 for the year, and prohibiting agencies from creating a new regulation unless two are sacrificed. If this uncharacteristically swift storm of action in D.C. were not enough to embolden qualified Bay State entrepreneurs to expand their operations or jump into the game, the economic wave of growth that washed over the state throughout 2016 certainly was, resulting in a significantly larger loan volume in lenders’ pipelines at the outset of 2017 as compared to the previous year, said Nadeau. Telling a similar tale is Eastern Bank’s Joe Bator, director of the business banking division, who oversees the execution of enough small business loans to consistently hold the top spot among Small Business Administration (SBA) lenders in New England. From Eastern’s perspective as a lender providing the funds to feed the appetite of the small and family-owned business community, Bator called 2016 “a record year,” with loan volume up 15 percent in early 2017 compared to the beginning of 2016. Larger institutions have begun to move confidently to enhance their small business support as well, such as TD Bank, who will install additional staffers all along the East Coast to deal with companies under $1 million in revenue, according to a mid-February announcement from the country’s 12th largest bank. 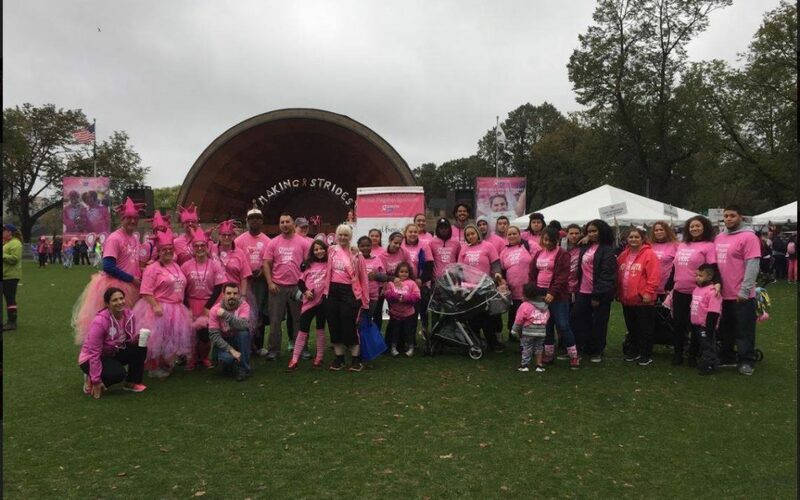 This story is in turn corroborated by the Associated Industries of Massachusetts, which released an early-February survey saying employers in Massachusetts are more confident about the business environment than any time in the last 12 years. The New England Economic Partnership’s annual report projects the state’s 2017 average annual payroll employment will see growth in 2017 similar to 2016 (1.5 percent). Additionally, a recent Gallup poll shows that in January, consumer spending across the country was at its highest point for that month since 2008, before the financial crisis drained American bank accounts. If it sounds like all this adds up to a state of business nirvana, it may yet be too good to be true. Though the obvious response might be for a flood of new businesses to start up and for existing businesses’ operations to get bumped up a notch, this is not necessarily the case when considering the most basic resource on which a company depends: labor. Across the board, most experts agree that labor constraints pose the greatest threat to economic expansion, as the Baby Boomer generation’s current “Silver Tsunami” pushes a sizable chunk (roughly a quarter) of the population into retirement age. This outpouring of bodies from the workforce causes a drop in overall labor and, more crucially, skilled labor specific to each industry. Similarly, if the CEO of a family-owned business is at or near their golden years (and many of them are), rather than seize the moment for expansion, the incentive to retire into a good economy with dollars in the bank – high-value American dollars at that – often wins out. This results in a surprisingly high number of selloffs and successions during times of economic vigor. With a concrete estate plan in place or the knowhow to get the most value from a buyer, these transitions can be smooth and reinvigorating to the company. Without them, disaster can ensue. And there are still more factors lurking beneath the sunny surface of the business landscape which could trip up unsuspecting executives. One of the most prominent is health care costs, which have already risen in recent years, causing some employers to adopt more complicated, unpopular methods to keep workers part-time and without benefits. Although Trump has promised to replace the Affordable Care Act with an equally universal and less expensive model, there is thus far no specific plan on the books. The bottom line is not that family-owned businesses should feel cynical about or avoid seizing the opportunities of the robust economy; rather, they should use the boom time for deliberate and meaningful preparation against these and other ever-present business pitfalls. The best defense may be in the form of a handful of free or very low-cost resources available to small business professionals in the commonwealth. Whether through one-on-one mentoring or group workshops, utilizing expertise offered through these development programs can make the difference for small businesses. Take for example the Small Business Development Center (SBDC). Armed with millions in government funding, the SBDC system trains and advises up to 7,000 businesspeople per year. Another such resource is SCORE, a free training program with six locations across Massachusetts, supported by 350 volunteers with the goal of creating long-term relationships with small business clients to see them through the peaks and valleys of ownership. Joe Kourieh is associate editor at The Warren Group, publisher of Massachusetts Family Business magazine. He may be reached at editorial@thewarrengroup.com.